Green screen can be fun to use specially at upcoming events such as Valentine’s day, Easter etc. Standard backgrounds can get boring at times so this function allows you to replace a green screen background with any image. dslrBooth Professional windows edition comes with a powerful green screen function to help make your events more attractive and fun. This video tutorial explains our green screen tool and how to get better results. 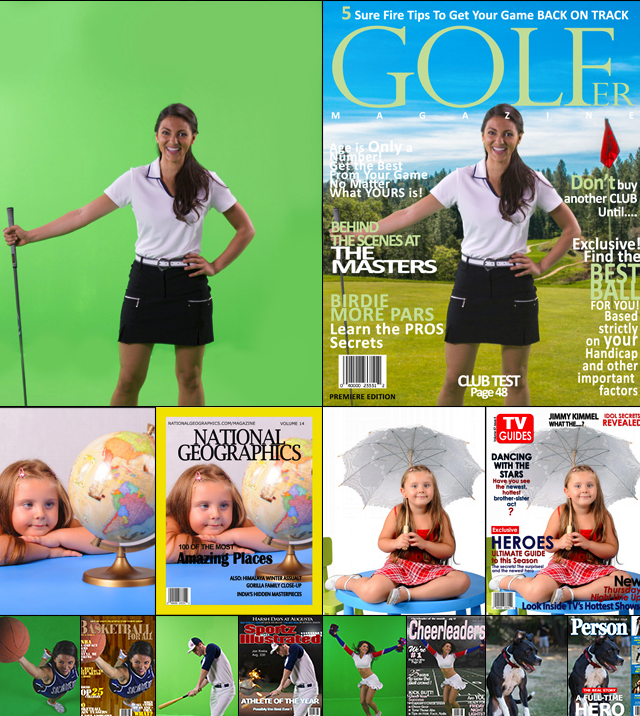 If you shoot green screen, you have to check out our new Magazine and Movie Poster backgrounds. We get many questions on what laptop or tablet we recommend to run dslrBooth. Every few months, we actually go through the process of testing our software with the latest computers from manufacturers to determine our recommendations. For the longest time we have been recommending the Microsoft Surface Pro to run our software and for good reason, it’s powerful with an Intel i5 processor and is built to last. We continue to recommend the Surface Pro and now the Surface Pro 2. For those asking if the regular Surface tablet will work (traditionally called Surface RT), sorry, it will not. It runs Windows RT while dslrBooth requires full Windows 8. Other than the Surface Pro, We have been reluctant to recommend any cheaper tablets as they were all really under-powered. That has changed though the last few weeks and we have a new recommendation. If you’re on a budget, we recommend the Asus Transformer Book T100. It performs very well thanks to it’s quad-core processor even though it only has 2 Gigs of RAM. We have found that to be more than enough even while shooting at 20 Megapixels which you shouldn’t really need (6 megapixels is more than enough for 4×6 full size prints). The laptop doubles as a touch-screen tablet by disconnecting the keyboard. Battery life is rated at 13 hours which is great since the tablet portion only has 1 micro usb port. If you’re using with no keyboard, you’ll need a micro-usb on the go adapter so you can plug in your camera’s usb cable. If you don’t have plans to shoot green screen, the Asus will suffice. If you want green screen, it’ll take a few seconds to process each photo due its limited graphics abilities. dslrBooth now supports displaying live view with the camera in portrait (vertical) orientation with live view. Previously live view only worked in landscape (horizontal) orientation. Additionally, when using live view, you have the option to flip the image to mirror your guest’s movement. This is useful if you’re displaying the live view image to your guests as it’s much easier and natural for them to move to the right and see their image move to the right. The final image is still in its natural orientation as that’s how photos are always taken. Both options are under Preferences > Shooting. We hope you enjoy these tiny improvements and as always, we’re open to hear your suggestions for future improvements. As promised, we’ve updated dslrBooth Professional to allow custom layouts. This is done by using an intuitive graphical layout creator. 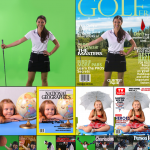 By using the layout creator, you can create any arrangement of photos you can imagine with no boundaries. 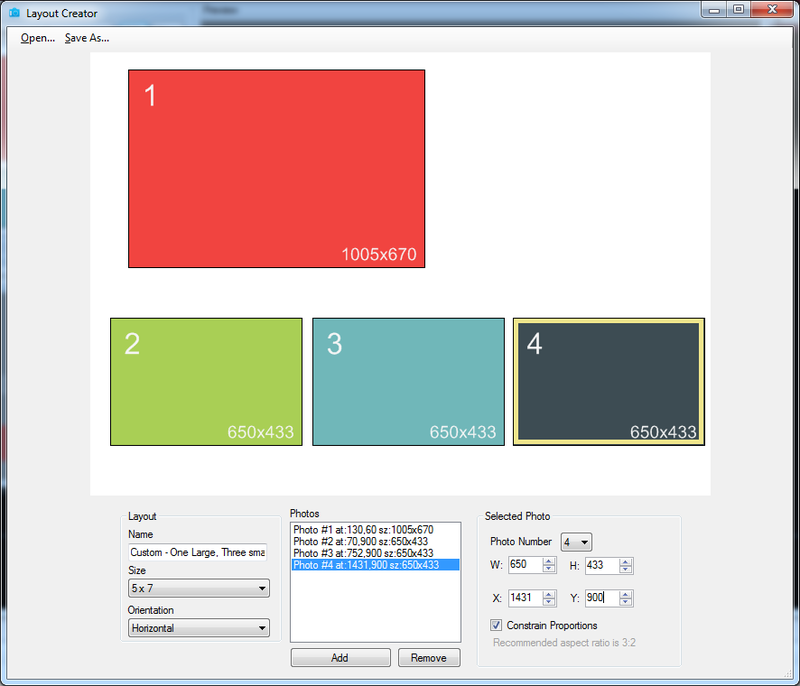 This also opens the door for 3rd party designers to create overlays and layouts for dslrBooth. In addition to layouts for 4×6 paper, we’ve also added support for 4×8, 5×7, 6×8, 6×9, and 8×10 in both horizontal and vertical orientations. You can find more details here. We hope you enjoy this feature and would love to hear your feedback. 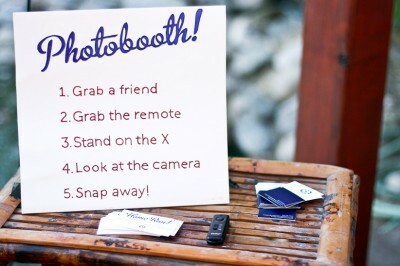 It’s easy to run a slideshow of your photo booth photos or prints. All you need to do is run one of the following software on a secondary display or run on another computer. Next, setup the software to read from dslrBooth’s image directory. You can find the location of your directory by clicking the “Images Directory” link in the main menu. Once you know where your images are, they final step is deciding if you wish to play a slideshow of your prints or original photos. 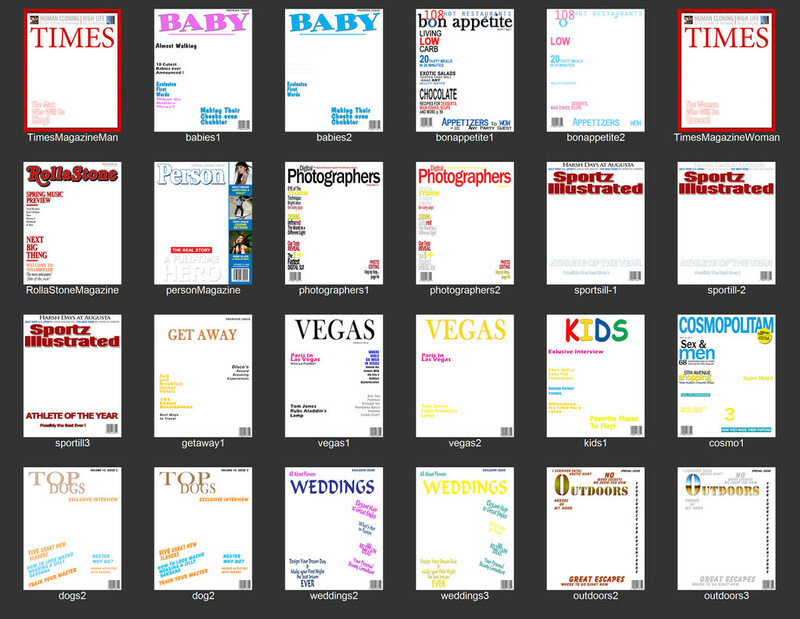 There is a separate folder for each under dslrBooth’s images directory. We’ve had several people ask about how to setup their photo booths so guests can start the sequence of taking pictures with a button. The best option we’ve found is to use the Griffin Powermate. 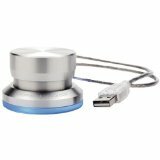 It’s a usb button that works with PCs and Macs. In our testing, it looks great, is easy to setup and works great with dslrBooth. Once you get your powermate, download the drivers from griffin’s website. Then setup the button push action to send the SPACE keyboard key. Interested in a foot switch instead, we recommend the StealthSwitch USB Foot Switch. Again, just configure the switch’s software to send the SPACE keyboard key. Make sure you have setup dslrBooth to trigger camera automatically or else pressing the button will only start the countdown and nothing else. You can share your final prints online in realtime on facebook, twitter, google+, pinterest and a few dozen other sharing sites directly from dslrBooth. It’s pretty simple, take a few pictures, wait till the final print appears on screen, then click the e-mail, SMS, or scan the QR Code. Enter your e-mail or SMS #. Your mobile phone will open up a secure url where you can share your picture in real-time. Cool, right? Let us know either way in the comments below. We’re always open to suggestions. How long do my images stay online? 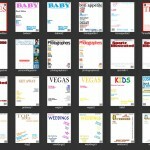 Images are guaranteed to be online for 30 days after they are uploaded. What happens when I click the share button? Can anyone else see them? The share button, takes you to the url for the page. Your images can only be accessed if you know their url. Can I download a full resolution copy? Of course. Click on the image and it’ll open the original image in high resolution which you can download. If you have an eye-fi card, you can now have the final prints from dslrBooth show up on your ipad right away. 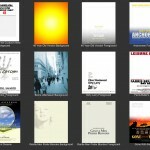 Install the Eye-Fi ipad app on your ipad. Plug in Eye-Fi Card (Can be any model) to your laptop. 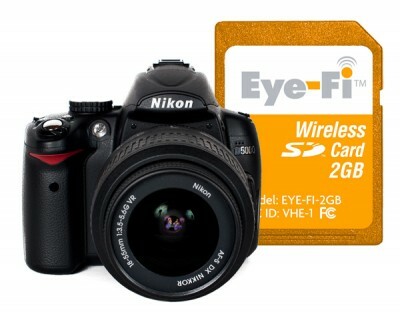 Configure Eye-Fi Card to upload to ipad. 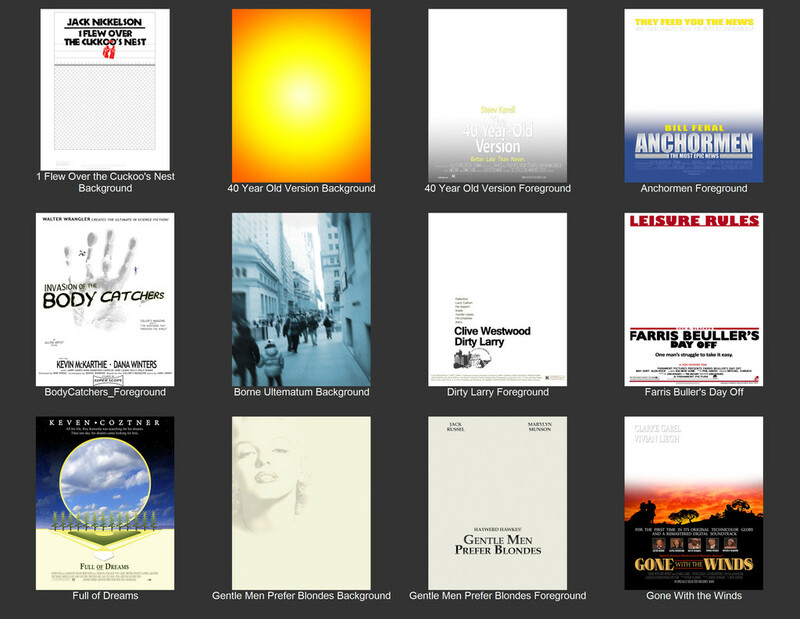 Open Eye-Fi Center, Photos > Select ipad. Connect camera to laptop as usual using the usb cable. Make sure Eye-Fi app is open on the ipad. Start using dslrBooth as usual. Your final prints will get sent to your ipad and be shown in fullscreen. You don’t even need an eye-fi card. You can easily do this using folder actions as in this tutorial to import the images from the prints folder to iphoto’s photo stream. Hope you enjoyed this tutorial, feel free to let us know if you have any improvements to this tutorial or have any issues. We have had a number of customers ask us how they can an unattended photo booth with no one standing there to trigger the camera. Thankfully, the solution is very easy as dslrBooth requires no manual intervention once it’s started. Click the camera button using your mouse. Press the keyboard space bar. Press the camera shutter button. Use a camera remote or wireless shutter release. Normal mode of operation is that you have to trigger ever shot, however if you want, you can setup the camera to trigger several times with a set number of seconds in between. This can be set in the preferences by setting the “Trigger Camera Shutter Automatically” option and settings the “Seconds between Shots” parameter. In any case, if you don’t want someone standing on the camera taking pictures, you’ll want to trigger the camera remotely and here are your options. Canon RC-6 Wireless Remote Controller for Canon XT/XTi, XSi, T1i and T2i Digital SLR Cameras any other canon models which support remote control mode. NEEWER® IR Wireless Remote Control RC-6 shutter release for Canon EOS T1i/500D / T2i/550D / 5D Mark II / 7D / 60D / T3i / 600D / XSi / 450D/ XSi / 450D / XT / 350D / 300D .